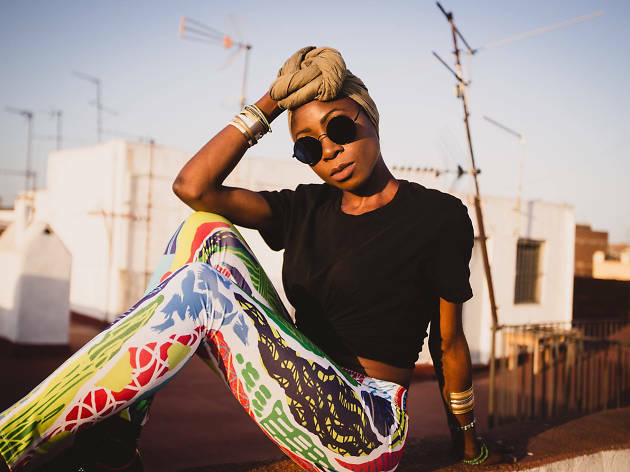 Marga Mbande is an African artist who was born in Barcelona to parents from the Kombe people of Equatorial Guinea; she sometimes sings in Kombe. 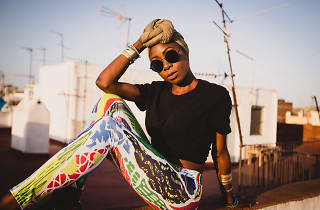 Her music is a bit R&B, a bit hip hop, and a bit dancehall. She's currently recording her first solo ablum, with Chalart 58. Mbande's lyrics speak without prejudice or limitations in order to give power and meaning to each of the words. After having played hundreds of cities and clubs, Mbande performs during the Curtcircuït series. On the same night you can see The Grooves, a band that got its start in 2012 by six women from Madrid who have evolved to find their own unique sound that characterises them today: music you can dance to. Theirs is a disco-funk and electric rock rhythm along with touches of elegance and sensuality.